Stainless Steel Sleeve is a cannula which is made from a stainless steel tube with a Deflected Cannula or Blunt Cannula. Stainless steel cannula can permit a safe liquid or gas transfer between sites. The sterile devices are common in the Medical and Laboratory Use. 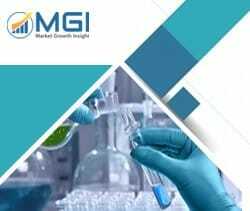 This report studies the global Stainless Steel Sleeve market status and forecast, categorizes the global Stainless Steel Sleeve market size (value & volume) by manufacturers, type, application, and region. This report focuses on the top manufacturers in North America, Europe, Japan, China, and other regions (India, Southeast Asia). Focuses on the key Stainless Steel Sleeve manufacturers, to study the capacity, production, value, market share and development plans in future. Regional and country-level analysis of the Stainless Steel Sleeve market, by end-use.